BoxyCharm is a full-size and occasionally deluxe-sample sized makeup and beauty subscription box… oh, and one of my favorites right now! 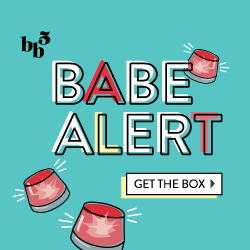 For only $21 per month, they send you 4-6 quality makeup, skincare, haircare and beauty products with brands ranging from drugstore (Revlon, Maybelline, etc) to higher end (Tarte, Mirabella, etc). Each box comes with a card detailing the products included. This month’s theme was Jingle Bells, as to stick with the holiday theme! Normally I hate getting brushes and tools in subscription boxes, however this one arrived at a great time. My current brush was starting to get old, plus since it didn’t have a cover, it would leak powder all over my makeup bag. This super soft, multipurpose brush will be perfect to bring in my makeup or travel bag! I’m 50-50 when it comes to this brand… I’ve had products I loved (“the one stick”) and ones I’ve hated as well (the gasoline-scented mascara), so I was intrigued to see how this product would compare. In terms of color, I LOVE it. It’s a beautiful deep burgundy berry shade (looks a tad darker in the picture, but comes out lighter when applied). However, the formula is not the best.. it’s a bit crayon-y and bleeds easily. These lashes are gorgeous! Same with the packaging! (I’m a sucker for that). Even better than that, they are hand-made and animal cruelty free. A lot of people often say they hate getting false lashes or don’t know how to use them, but with the quality of these, I think more people will be willing to try them out! This is a deluxe sample/travel sized hair spray, perfect for a purse or travel bag. These actually come in handy a lot when I’m on the go and my hair gets disarrayed from the rain, humidity or other obstacles. The final item is a FULL-SIZE eye shadow palette in 20 varied neutral colors. It has 14 shimmery shades and 6 matte shades, all which can be used together for natural or semi-smokey eyes. I really like the pigmentation and shades included, so this is a definite win! Here’s a close-up of all the colors! All in all, I was extremely happy with my December 2014 BoxyCharm box! I wouldn’t say I disliked any items or brands, but am excited to test everything out. The Revealed palette was a definite plus, and the makeup brush ended up coming at a perfect time for me. Zoooom in! What do you think about this months BoxyCharm? Sign up for your own box here, or check out other previous reviews here!